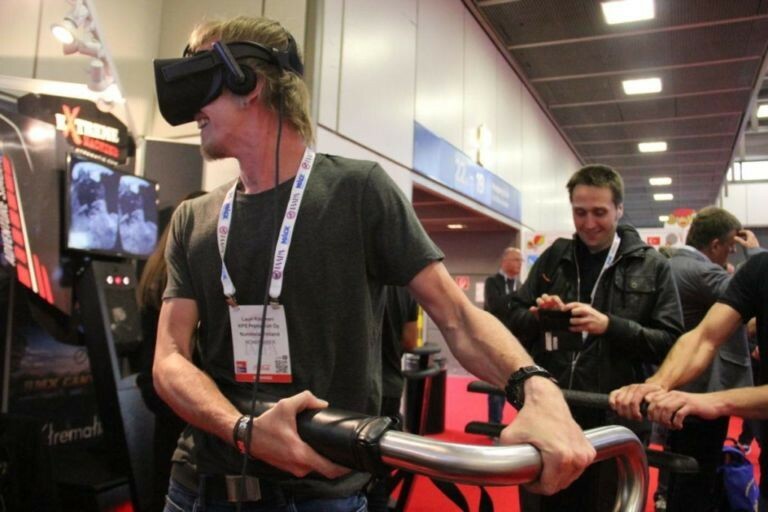 Xtrematic with VR Simulator is going EAS 2018 in Amsterdam! 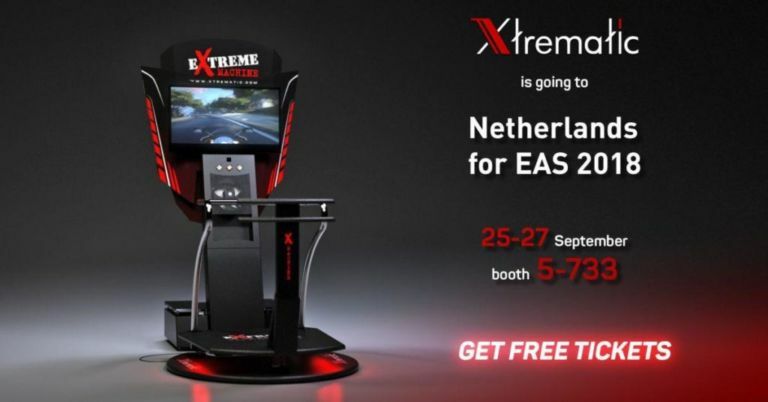 This autumn Xtrematic for the fourth time is going to scale new heights in Amsterdam and present the X-Machine virtual reality simulator at the Euro Attractions Show 2018! We have thoroughly prepared for this event and are ready to present more than 30 films and games, created by Dreampix studio exclusively for the virtual reality simulator X-Machine, to those who is fond of the world of VR. Among them the latest novelties – films and games “Air Storm”, “Concour”, “Air Race” and “Jet Ski Racing”, so everyone can find something for interest! Euro Attractions Show is the largest event in Europe in the field of professional business development in the entertainment and recreation industry, which has already been held for 15 years! Euro Attractions Show is coordinated by the International Association of Parks and Attractions (IAAPA) and is the largest exhibition in the world. Top-tier companies will present their attractions, simulators and gaming machines on EAS 2018. The main representatives of the entertainment and recreation industry will gather together to find new customers, partners, and also to raise a sufficiently high level of the industry development. 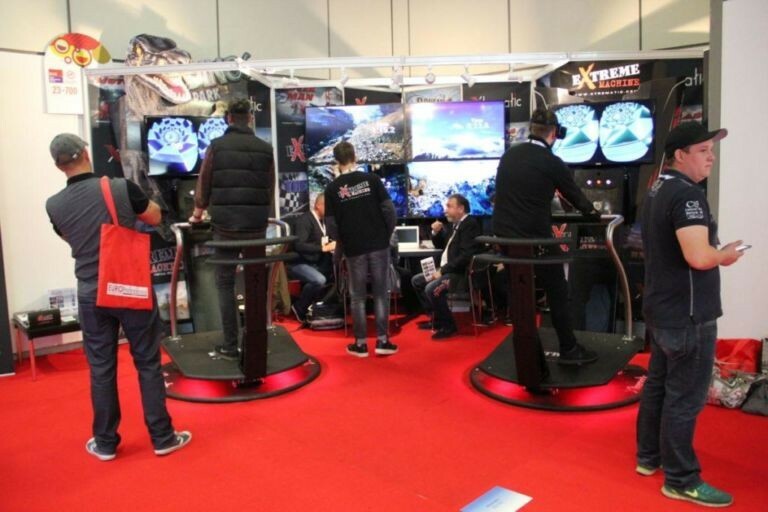 Xtrematic is a constant and well-known participant of the exhibition, because virtual reality conquers the modern world faster and faster and our company knows how to surprise and please its customers with quality content-updates and every possible upgrade! This year the exhibition is held from 25 to 27 September in Amsterdam, the Netherlands. Over 500 participants representing amusement parks, water parks, zoos and aquariums, museums and scientific centers, shopping centers, festivals and events, recreation parks and resorts, cultural attractions and much more will band together to learn about the latest developments in the global attractions industry. The program includes about 80 educational seminars and forums, where professionals from more than one hundred countries will tell about innovations in the field of recreation and entertainment. Each event is aimed at gaining experience, finding new contacts and, of course, popularizing your own products. This is an excellent opportunity to test different attractions from manufacturers from all over the world. The Xtrematic team will wait for friends, acquaintances and all those who are interested in the virtual reality world at booth 5-773, where they will tell you about the virtual reality simulator of extreme sports Extreme-Machine, will help you to test it in practice personally, and also tell you more about our special offer that works exclusively during the Euro Attractions Show 2018.